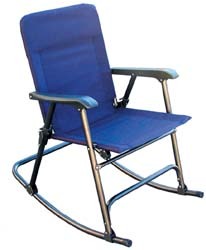 Rocker is 23"W x 35"H x 28"D and 12-1/2 lbs. Chair is 23"W x 34"H x 24"D and weighs 9-1/2 lbs. Both seats are 17-1/2"D x 18"W.